Bougainville Referendum Poll : Will conditions of Bougainville Peace Agreement be met by Bougainville within next 5 years as a prelude to referendum. The President said self-determination is not a dirty word for the people of Bougainville, self-determination is peoples claim that they must be the major stakeholders in deciding their fate and to be engaged in socio-economic, political and spiritual liberation. The conditions of the Bougainville Peace Agreement can and will be met by Bougainville within the next five years as a prelude to its referendum. Autonomous Bougainville Government President Grand Chief Dr John Momis made this bold statement in reference to Bougainville’s Referendum that must be held within the 5 year time period of 2015-2020. The conditions of the Bougainville Peace Agreement are Good Governance, Fiscal Self Reliance and Weapons Disposal. “We must not fear, we must have faith in each other and ultimately of course we must have faith in God to give us the wisdom and strength to prevail,” President Momis said. “We have now reached a critical juncture on our journey to freedom where we stand at the threshold of a new socio-economic, political and spiritual order” The President added. He added that this new future means Bougainvilleans will want to be liberated from structural impediments, from institutional impediments and become agents of change and development and also become the subjects and objects of these changes. “We know for a fact for example that the people of Bougainville for a long time have always seen themselves as a people set apart from the rest of PNG,” the President said. 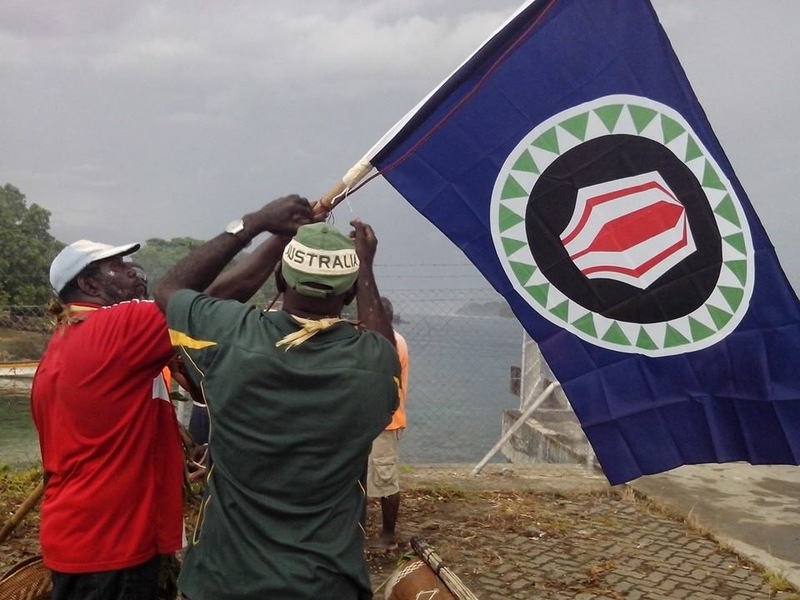 Consistently over a period of time the people have always demanded to have a referendum to determine whether Bougainville was to remain a part of PNG, join with the Solomon Islands or become an entirely Independent nation on its own. So when you look at the history of Bougainvilleans, Bougainvilleans definitely had a history, we have a history of rejecting outside imposition, a history of being proud of our heritage and a history of self-determination. This is in line with the fact that Man is by nature a self-determining animal, man being a rational is endowed with the intellect and the will that enables him to asses, analyze and make informed decisions his future. “It is through unity and believing in one another shall we achieve our ultimate political future,” President Momis remarked. Come on Bougainville, you can do this! If we all pull together!